OK. let's get this straight from the owner of Torana Music Box, Sarath Kothalawala as Gypsies's Sunil hums, "I don't know why, ehema wenne aye". The business magnate confirmed that "Why" album by the Gypsies or the famous "Aye" CD, is the most successful album produced by Torana Music Box for 2005 and 2006. But why? I asked Sunil. His answer was simple: We know the market. People like humour with a touch of criticism against politicians. They like it when politicians are criticised anywhere. Our bit was making it more palatable with music and a humourers video clip. And the five CD pack, titled "Anthology of Gypsies",. which was produced by Torana Music about six months ago , was yet another success. The Gypsies anthology has been the best selling album for 2005-2006. This is not unusual for Gypsies that music they compose and perform always breaks the industry's sales records. As a rule their songs are embraced by the masses. As Sunil put it, "Ovwa danne deiyo thamai, I don't know... why"
Sunil says he is open for criticism. But his character is such he does not take anything for granted. "What criticism are you talking about? Why do some critics look down upon us as if we had done nothing to the Sri Lankan Music industry, and eulogizing on the significance of selected oriental artistes in the field," he says. By the way, the good news is you cannot put Gypsies out of the scene because they are always around with innovative ideas with a focus on the public demand. Sunil, the man in the hat still got a few tricks to pull out to attract an entire audience to his side. Presently, Sunil and the brotherhood of Gypsies are working on a new album. He was all smiles when I asked him, what will be its title song? "No, we haven't decided on the title song as yet. We plan to release the new album by the beginning of the next year," he said. The Gypsies is also gearing to fly to Australia in September to stand three dances and three concerts, said Sunil. He also said his son, Gayan had formed a new band and he had advised them not to sing his songs. "I told them not to carry on with singing my songs because the last thing I want to see is my son ending up without originality," he said. "I asked Gayan and band members to find their own way in music," he added . 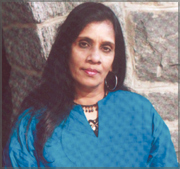 Patronella Fernando, an international civil servant, living in New York, is presently in Sri Lanka, to hold a concert at Lionel Wendt, Colombo on July 9. She will release her new album "Oba Nisa" ("Because of You") on CD and DVD. 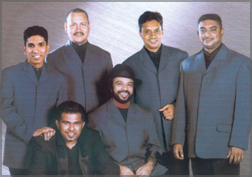 It has 16 original songs by Patronella including the title song Oba Nisa, which was arranged by Neela Wickremasinghe. Patronella is an Administrative Assistant to the UN Security Council on resolution 1540, which deals with proliferation and disarmament. She is also a member of the International UN choir. Her voice came to be known to a wider audience around the world as with the song she did for tsunami in 2005, the tri-lingual song in Sinhala, Tamil and English, "Chanda Sayuru". The song made a strong impression on the minds of the Sri Lankan public that it was later came to be treated as the Tsunami theme song by the masses. The song was written by Deshanjali and music was composed by Jagath Wickremasinghe. "The song was expected to bring hope those affected by the disaster," she said in an interview with us. I performed "Chanda Sayuru" at an International Cultural Festival which was held in Manchester on the invitation of Peterborough City Council, in June, 2005. Asked how she started her musical career, Patronella said that she was able to sing natural harmonies from her childhood. "I kept on practising, and I had my voice training lessons from an Argentinean vocal trainer Nelly Vusis," she said.She said, out of the 16 songs on the CD, one song has a personal connection. The song titled "Adara Akka" ("beloved sister") describes my love for my elder sister. "I lost my elder sister 10 years ago. We didn't have a mother, she was like a mother to me until she died of cancer," she said. 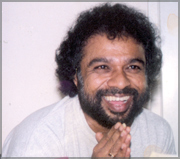 The music for the song was composed by late musician and saxophonist Stanley Peiris and lyrics by Saman Chandranath Weerasinghe. Patronella remembered musicians Ernie Peiris, Upali Kannangara, Ravi Sriyananda Fernando and lyricist Ajantha Ranasinghe, for the assistance given in the making of the CD. Hilton Colombo have just signed up with popular band and "crowd puller" Gypsies for their Silver Ball 2006, which will be held at the Grand Ballroom. The band Gypsies has a rich history in the music industry. "Silver Ball is one dinner dance that most of our clients look forward to. It has its own followers just like the band" said Gigi de Silva the hotel's Marketing Communications Manager. "We are expecting a good crowd this year and we advice them to book their tickets early" added de Silva.